Join us this Saturday night!! Join us for a special night to put in the history books! 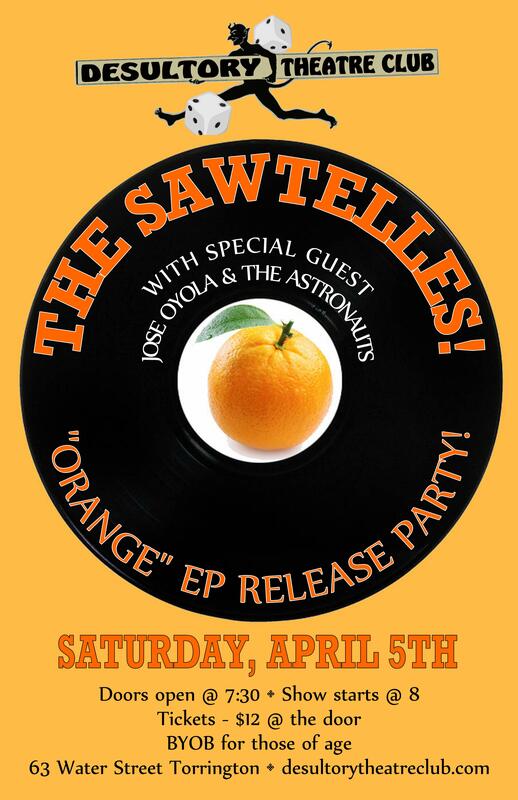 The Sawtelles travel up to the club to release their “Orange” EP!! Also ready to rock the stage that night, it’s… Jose Oyola & The Astronauts!!! Jose Oyola & the Astronauts is an experimental indie rock project based out of New Haven, CT. Originally a solo songster Jose now occupies a large 5-bedroom apartment on Orange Street called Taco Hut Headquarters that has become a hub for new CT music. A stable of musicians from that community have teamed up to become The Astronauts. Jose’s original songs have flown to new heights with the Astronauts forging new beginnings for New Haven based music. Jose Oyola & the Astronauts released their debut album “Give, Give, Give. Take, Take, Take.” On February 2nd, 2013. The Sawtelles claim that they will play just about anywhere. Really. They have already played on a train, in a bathtub and on the rails to trails bike path. This husband and wife duo is a balance of four elements, alternate-tuned guitar, stand-up drum kit (ala Velvet Underground’s Mo Tucker) and two voices. Sparse but intricately arranged pop that is as lush as it is threadbare makes what is played as important as what isn’t. 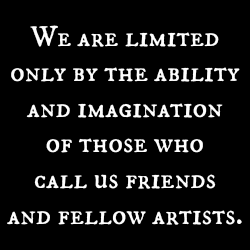 Their self-produced DIY philosophy aligns them more with the hand painted Sun Ra LP’s of 1950’s and 60’s then it does with those striving for mainstream commercial success. They like to call themselves “nerve rock”. While most rock groups go for the louder/ faster/ harder angle, The Sawtelles strip it down to the absolute bare minimum you need to still be rock ‘n’ roll. Their “nerve” is elegant minimalism. All elbows and cheekbones, they are; and the wonderful thing is that there are no secrets, no cards up their sleeves, because they’re not trying to out-cool you. For those of you that missed and evening filled with “Mind Powers” and Mayhem, and those of you who want to remember them, here are the few pictures that made it out of Artwell in one piece.